Professional online meetings built for business. 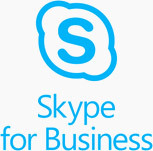 Skype for Business enables you to connect to your team anywhere, and to millions of people on Skype, while providing the enterprise security, compliance and control that businesses expect from Microsoft. as easy as sharing a link. Powerful collaboration tools for real-time input. Record meetings, share your screen and annotate PowerPoint for real-time collaboration with up to 250 people. Use a whiteboard, polls, Q&A, and built-in IM during your business meetings to make them more productive. Word, Excel, PowerPoint and OneNote. Add a Skype Meeting link so guests can join straight from their Outlook calendar. 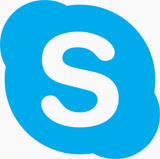 Gatherings up to 250 people and 10k people with Skype Meetings Broadcast. Start conversations with instant messages and turn it into a video call. Or keep it just as IMs only. Record the meeting, take quick polls, run Q&As, and add attachments to your meeting. 1TB file storage and sharing for access virtually anywhere. Guaranteed 99.9% uptime. Deploy and manage across your company.